best way to approach free-fall flight. In the course you will learn to control your body during the fall, fly autonomously and land softly in the predetermined area, to become a parachutist in all respects. You will be constantly accompanied by our instructors who will guide you in all the phases, before the launch, during the fall and with a radio contact, after the opening of the parachute, allowing you to make fast progress always in complete safety. The correct execution of the throw at the end of each level allows the passage to the next one. Each jump is video recording so that you can evaluate your set-up in flight and advise you of any corrections, so understand together how to improve (... besides being a reminder of these unforgettable moments). To enroll in the course, you must be at least 18 years old, or 16 years with parental consent. It is also essential to have a non-competitive sports medical examination with an ENAC certified doctor. In any case, it is essential to document your state of good health. Our structure is open all year round on weekends and holidays and in August every day. For information about the course, you can write to us using the form below. 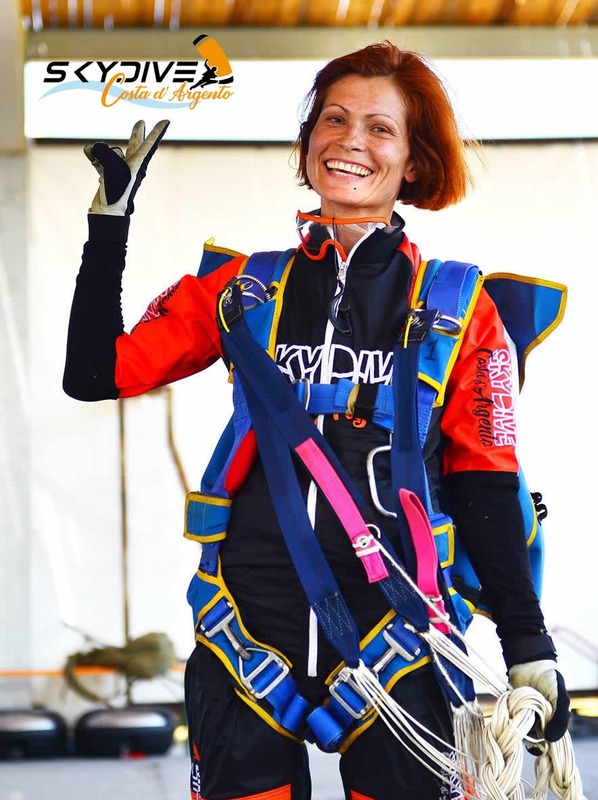 Tandem jumps and skydiving school in Orbetello. DWhere the extraordinary becomes unforgettable.